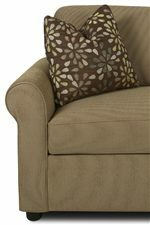 This comfortable chair and a half offers a generously proportioned place to relax. The chair has a fold out bed for your comfort and convenience of an instant bed to add a place to sleep in a living room, study, home office, or youth bedroom. The storage ottoman makes a great complement to the sleeper chair. Use it as footrest, a bench for extra seating, or an alternative to a center coffee table. The caster wheels adds easy mobility to let you move the ottoman to where you need it. Underneath the plush cushion the hinged top of the ottoman opens to reveal to storage compartments inside. Use this great space for kids' toys, board games, blankets, pillows, and more. The Brighton Chair and a Half Royal Sleeper & Rectangular Storage Ottoman by Klaussner at Furniture Mart Colorado in the Denver, Northern Colorado, Fort Morgan, Sterling, CO area. Product availability may vary. Contact us for the most current availability on this product. 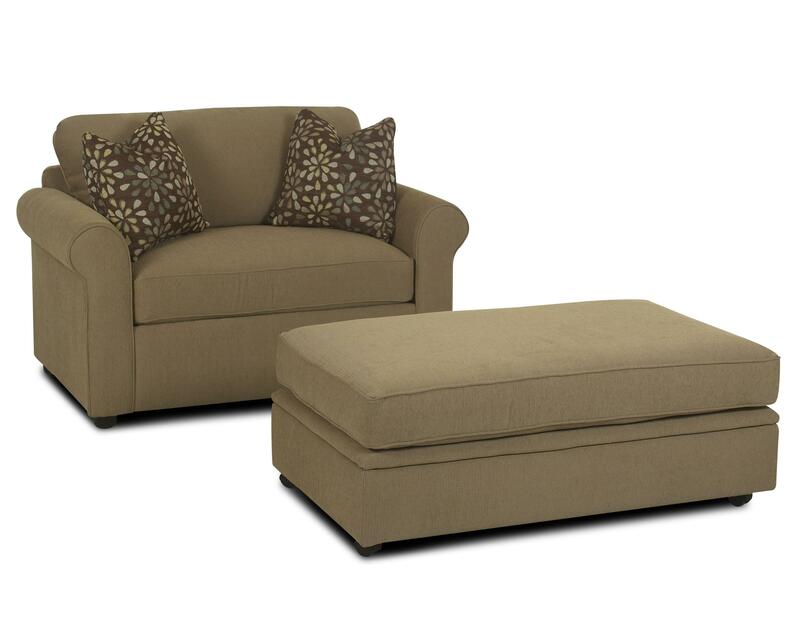 24900 STGOT Storage Ottoman 1 48" 31" 19"
24900 ICSL Upholstered Chair and a Half Sleeper 1 54" 37" 37"